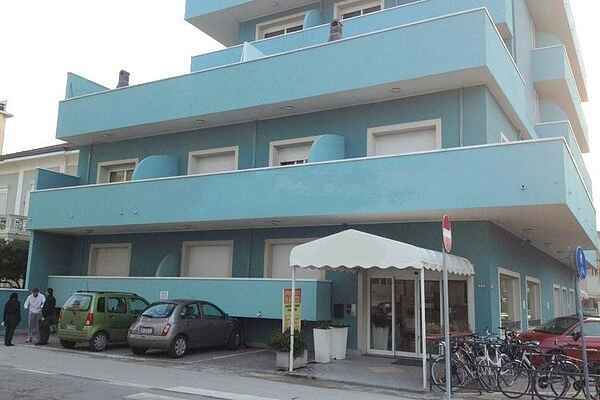 The residence is located in Rimini and open all year. The inborn cordiality and attention to the needs of guests is typical of the people in Romagna Region and will be a pleasant memory for you. The owner is always available to give informations, to listen to your needs and to indicate the most characteristic places to visit in the Region, the best places where to eat or the best places for shopping. In the apartments you can enjoy your time freely without any time tables and maximum independence. In fact you can bring your pets with you and they are welcome everywhere with the exception of the swimming pool area. There is a brand new swimming pool and Jacuzzi in the residence where you can spend peaceful moments and relax instead of going to the beach.